Launched in September 2008 Luxbet is the corporate bookmaking division of Tabcorp Holdings Limited, Australia’s leading gambling group who also own and manage such brands as tab.com.au, Sky Racing and TAB Sportsbet. 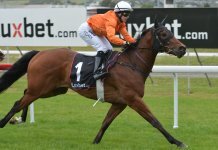 The Luxbet Sportsbook was established by Tabcorp to provide punters with a range of betting products and promotions that they were unable to offer through the TABs or with TAB Sportsbet, and they have done a great job. Today Luxbet boasts some of the best fixed odds and betting products in the industry while offering punters a huge range of sports-betting options both here and overseas. And when it comes to horse racing they consistently pay punters out at the highest odds. Of course their website and mobile betting applications are first-class and being backed by Tabcorp we should be able to trust them. and closures. Great Racing Products ~ With products like Bookies Best +, Best Of The Best and Luxdiv you will always get great racing odds. Weekly Specials ~ New betting specials become available every single week. 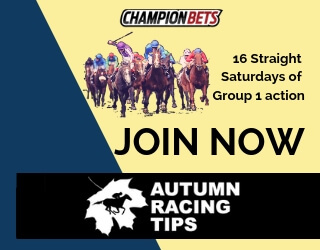 Big Joining Bonus ~ $500 is one of the biggest joining bonuses around and this amount gets lifted to $700 around big events like the Spring Racing Carnival. Punting Restrictions ~ Successful punters may have their betting habits restricted. Racing Multi-bets ~ Multi-bets are limited to 5 legs once you include a race-betting option. New Customer Bonus ~ New customers get their first deposit matched up to $500. 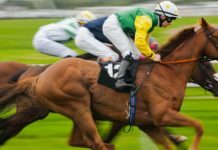 Bookies Best + ~ This racing product pays the highest tote odds plus an extra percentage which ranges from 5% to 20% on some of the bigger races. First Goalscorer Bonus ~ Luxbet offers weekly AFL first goalscorer bonuses on nominated matches. First Tryscorer Bonus ~ Weekly NRL first tryscorer bonuses on a nominated matches. EPL bonuses ~ Weekly betting specials on nominated EPL betting markets. A-League Bonuses ~ Weekly betting specials on nominated A-League betting options. Other Promotions ~ Luxbet have new betting promotions every single week, check their “Weekly Specials” link for their latest specials. *Any winnings accrued from a bonus bet must be turned over at least once at odds of $1.50 or greater before withdrawing. Best of the Best ~ This racing product pays the best of the three totes or the Top Fluc, whichever is higher (available on all Saturday Metropolitan Gallops). LuxDiv ~ Pays the best of the three Totes or the official Starting Price (SP), whichever is higher (available on all Australian Gallops). Top Fluc ~ Pays the highest official on course fluctuation throughout raceday. Selected Tote ~ Choose to receive either SuperTAB or NSWTAB tote price on all racing exotics like Exactas, Trifectas, Quaddies etc. LuxMid ~ Pays the second highest Win and Place dividend declared by the three Totes (available on all Australian greyhound and harness races). Tote +5% ~ Pays odds equal to your selected tote plus 5% on your winnings (available on all New Zealand, Hong Kong and Singapore gallops, plus selected races from Japan and the United States). Novelty Betting ~ Enables betting on the outcomes of reality TV shows, elections and Celebrity events like births and weddings. Margin Betting ~ Enables betting on the official margin between the 1st and 2nd horses in a selected race. Odds v Evens ~ Enables betting on whether the winner of a race will have an odd or even Saddle Cloth number Favourite Out ~ Allows you to bet on which horse will finish in the highest position in the race, excluding the favourite. ClubXtra ~ A rewards club that gives members an exclusive 12% bonus on top of their winnings when they back a horse that they own or train. Luxbet have a very professional looking website that has all the bases covered. It is safe and secure with quick links galore while the racing menu and bet slip are excellent, enabling members to view an entire race meeting on the one page and get their bets on quickly. 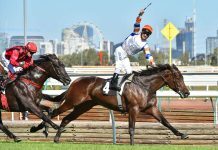 Popular Aussie sports are strongly supported with a massive range of betting markets and detailed racing form is also available. There is a live chat facility and a very useful help section should you need any assistance, plus they have added a live Sky Racing audio feed so you never miss a race. I also love that the navigation bar can be fully customised to suit individual members. 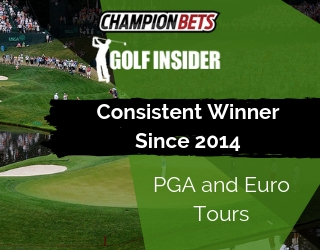 Its a great betting website! The Luxbet betting Application isn’t very fancy but its simplicity and practicality make it perfect for betting on the move. 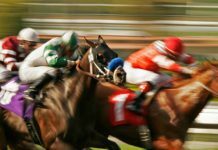 All racing and sports are listed in order of start time with direct links to corresponding markets which makes betting quick and easy. The live chat facility hasn’t been included but the racing form is still available and with the Sky Racing live audio feed you can punt and listen to the races all at the one place. The App also gives members the option to set-up a 4 digit pin for quick access. 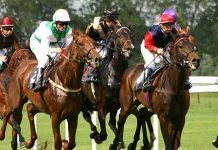 Racing ~ Up to 5 legs Sport ~ Up to 20 legs or odds of $5,000 *Sport and racing can be combined into a multi-bet up to 5 legs. Deposit Options ~ Credit Card, POLi, BPAY, Skrill, Bank Transfer/Deposit Withdrawal Options ~ Bank Transfer, Telegraphic Transfer Minimum Deposit ~ $0.01 Minimum Bet ~ $20 via phone, $0.01 online Maximum Payout ~ Maximum payout limits are quite good. Live Betting ~ Yes, but due to Australian gambling laws you must phone 132 LUX (132 589) to place a live bet. Mobile Betting ~ Yes, the App is available on Android and Apple devices. Click here to open a Luxbet account.